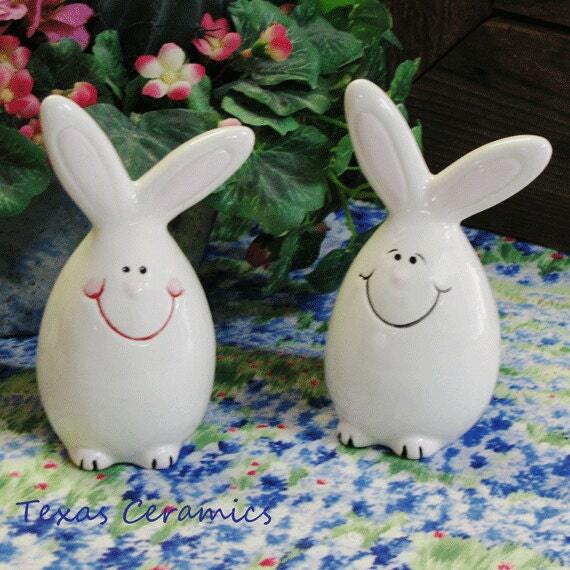 Each egg bunny is finished in a soft white, the face of each girl egg bunny is finished with pink cheeks, a pink heart shape nose and a red line smile, the feet are finished in a wash of pink. 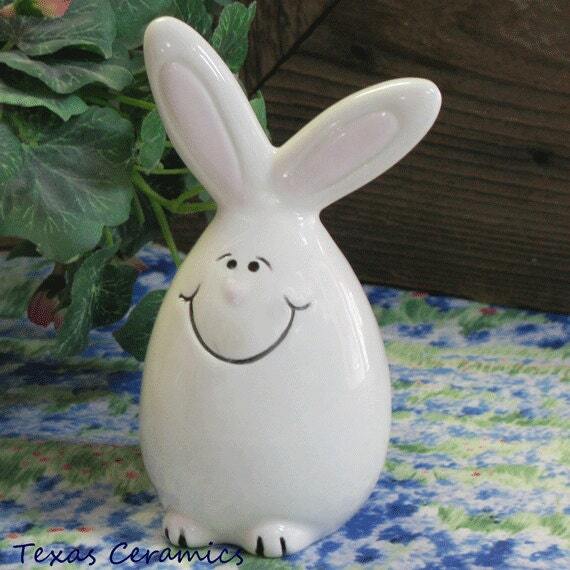 The boy egg bunny has a black outline for his smile and eyebrows, he has a heart shape pink nose and each egg bunny has pink inside the ears and a wash of pink on the feet. 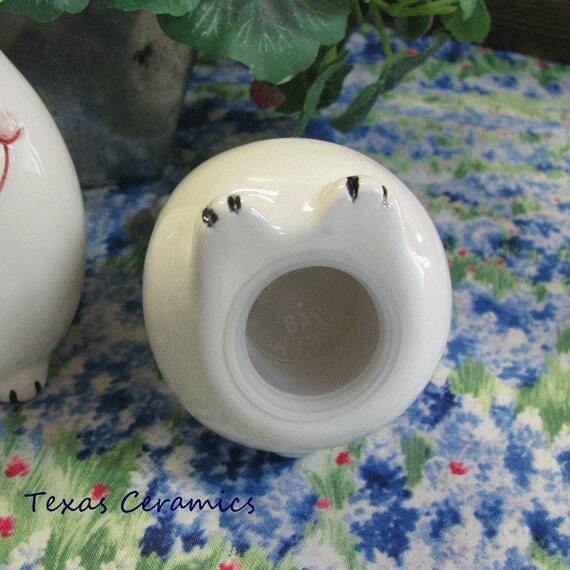 • the body is hollow and at the bottom is a plastic stopper for ease of filling. 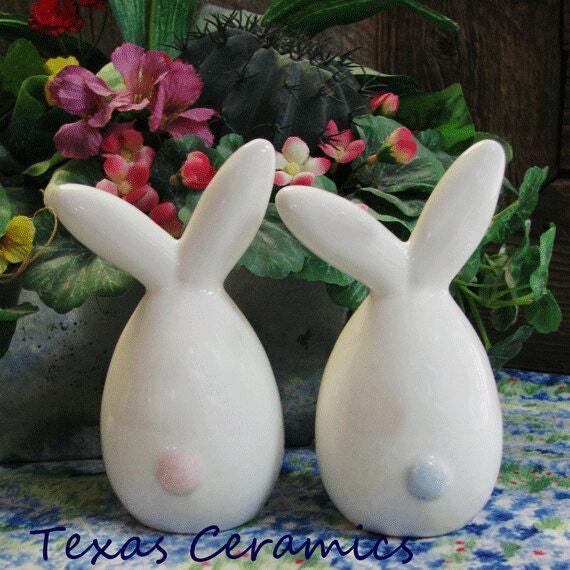 Each egg bunny is made of slip cast ceramics using a plaster mold for uniformity and fired in my kiln. 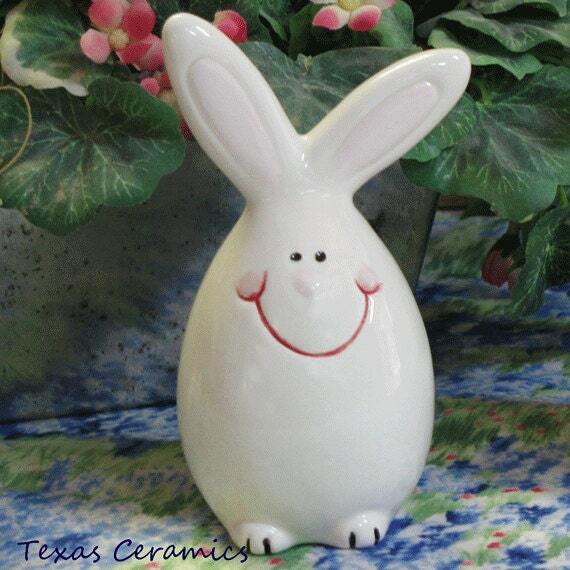 Non toxic underglaze colors are used to finish all detail, the entire outside of the egg bunny rabbit is finished with non toxic glaze. A plastic stopper is included with each shaker.